Jumping in the car and taking a ride with your best canine or feline friend can be a treat for you and your pet. Unfortunately, the resulting flyaway hair and paw prints can make your car less than pristine. The good news is there are solutions for preventing pet damage to your auto’s interior, including getting a car interior detail. 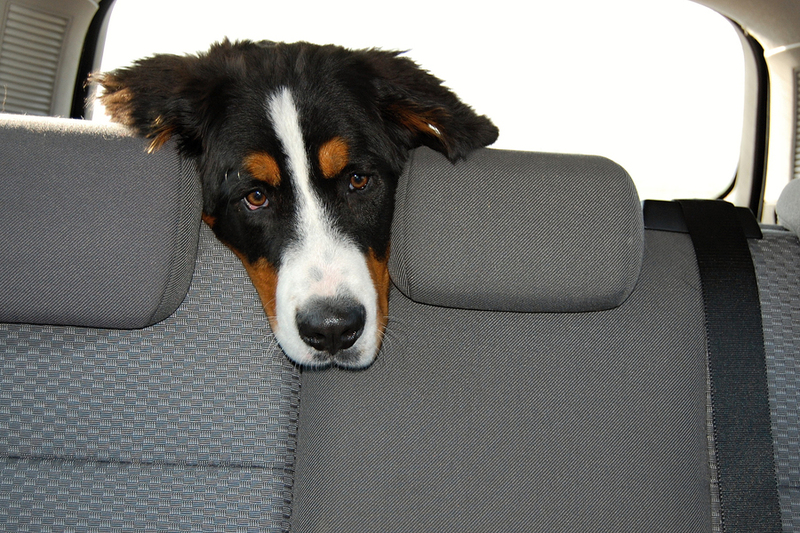 Fido and Fluffy don’t mean to, but they can cause trouble with your car’s interior. Common damage to your vehicle when an animal is on board includes hair and fur that becomes lodged in your upholstery and on the floor, nose and paw prints on the windows and doors and even scratches, tears, holes and rips in the seating from wayward claws and nails. A pet can also become car sick and vomit or have an accident that can result in the need for odor control management. Protecting the interior of your car from pet damage is your first line of defense. Safeguard your upholstery from fur, stains and scratches with seat covers, which come in plastic or cloth. Before purchasing, ensure that cloth seat covers are machine washable. To protect the car’s mats and carpeting, use hard plastic floor mat covers or floor liners made of nonslip rubber. Remove seat covers and floor mats when your pet isn’t riding with you and store them in the trunk.. As soon as pet fur does invade your car’s interior, prevent it from working its way into the floor and cloth upholstery by removing it with a lint brush. A well-groomed pet is less likely to get a car interior dirty or full of fur. The ASPCA recommends bathing your dog at least every three months, but if your pet is a frequent car traveler, monthly bathing could be preferable. Brushing or combing daily, especially prior to a car ride, is another good way to prevent your animal from spreading fur, dirt and body oil stains. Grooming also helps ensure that your dog and cat are free of fleas and flea dirt, the latter can stain upholstery and flooring. During grooming, ensure that your animal’s nails are also trimmed. This will prevent your pooch or kitty from scratching or puncturing your car’s interior. While preventing animal fur and stains is possible to a certain extent, the only way to keep your vehicle looking and smelling its best is with a car interior detail. Regular interior detailing also helps ensure that problems like torn seats or pet accidents don’t become worse than is necessary. For instance, proper and prompt treatment of vomit and urine accidents leads to less chance of ongoing odor and permanent staining. If your pet travels with you often, and it’s been awhile since a car interior detail, visit Mr. Clean Car Wash today to learn more about how a car interior detail can make your car look and smell great.